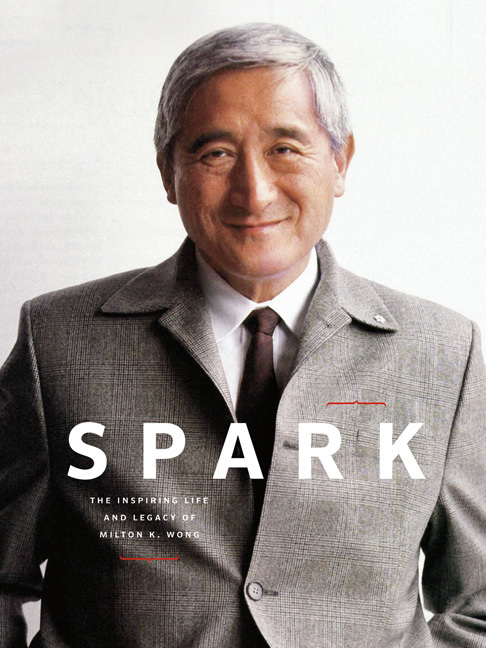 SPARK: The Inspiring Life and Legacy of Milton K. Wong is a collection of personal stories by twenty-eight influential individuals from the public and private sector, the arts and social justice community, and the academic world. These stories reveal the impact of Wong’s vision, leadership and compassion and uncover the mystery of his gift for igniting social innovation with human potential. He instinctively understood how to catalyze a new dream with the spark of human energy. Accompanied by a selection of photographs from the Wong family’s private art collection, this inspirational compilation is a must-read for those who aspire to be change-makers and champions of social well-being through the arts, cultural diversity, sustainability, education, aboriginal rights, and socially purposeful and environmentally intelligent business excellence.